Second Saturdays has moved from The Weary Traveler in Bourne to Gilda's Stone Rooster in Marion, a wonderful venue with a homey feel. One of the few venues on the Southcoast that specializes in live jazz and mature r&b/ soul. 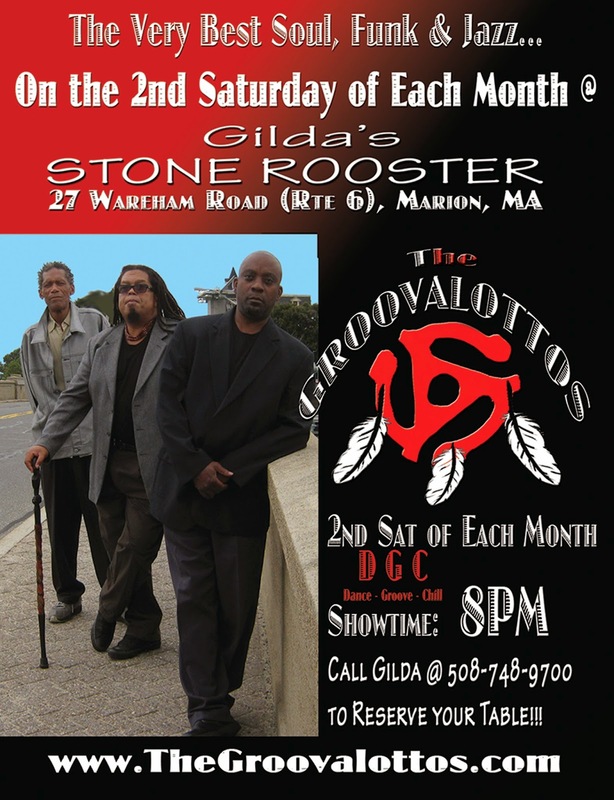 The premiere of The Groovalottos brought a packed house and a buzz throughout Marion and Wareham that Gilda's Stone Rooster is the place to be on the 2nd Saturday of each month.